Close to 80% of the work I do online is done on Wordpress, and I have been using SEOpressor even since I got it. The plugin works to ensure that your posts or pages on your website is SEO-optimized. This plugin takes care of 100% of your onsite SEO needs. I will leave the discussion on why I use Wordpress for another post. After this post, you might be thinking - "That's a lot of work!". It is, even for those of us who have been writing web content for years. Even when we think we have done a solid job, we still need to check. This is where SEOpressor plugin for Wordpress comes in. Part of the benefits of using SEOpressor plugin is that it monitors your keyword density as you are writing your article or post. It will tell you the percentage of your keyword density at a glance. 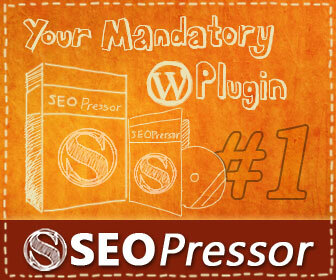 That is why I recommend SEOpressor Wordpress plugin.